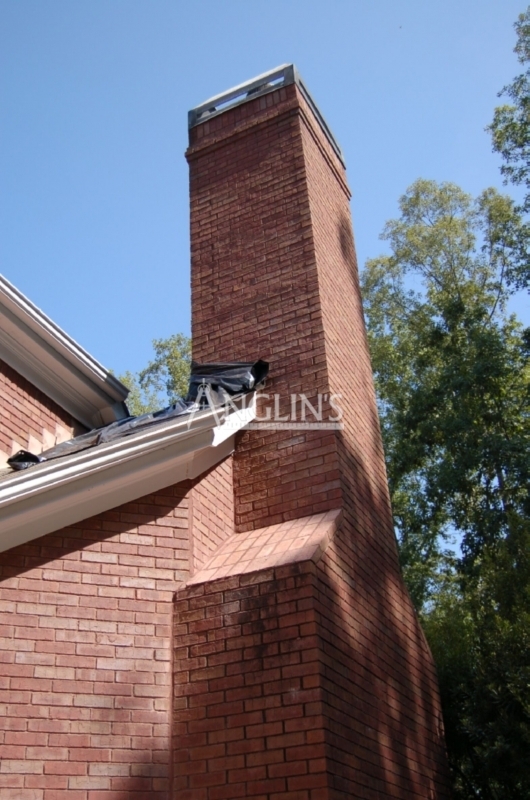 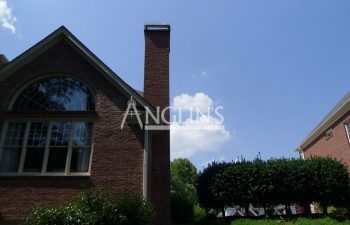 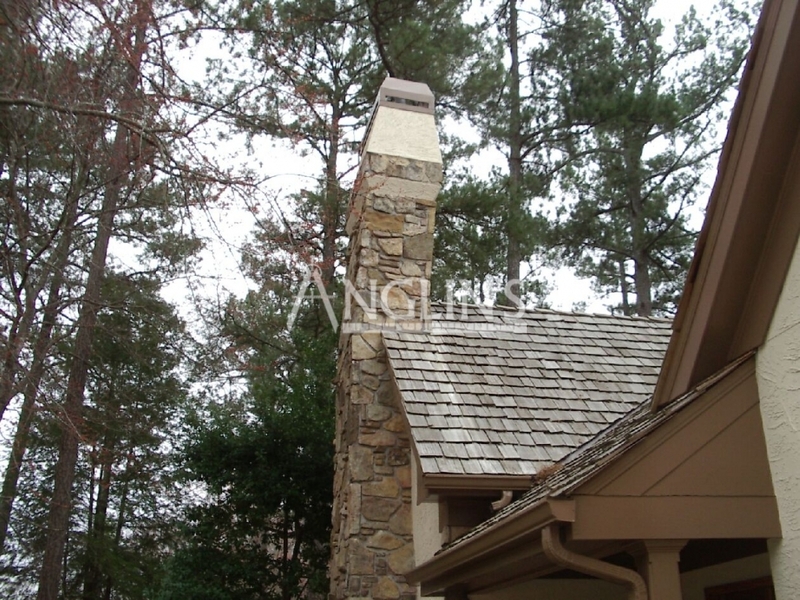 Chimneys are a great point of interest on a home. 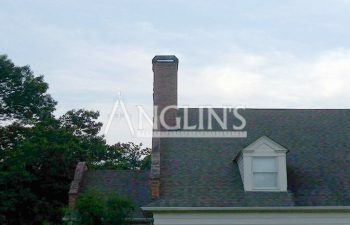 Whether you are in a relatively new home or one that has a great deal of history, a chimney adds value and character to the outer appeal of your property. 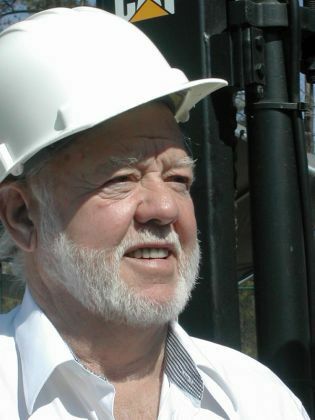 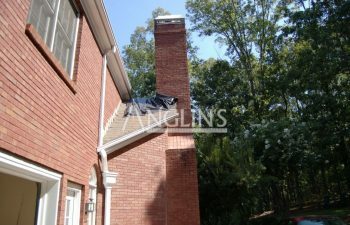 Most homes that are built do not include the chimney foundation at the same time that the home’s foundation is poured. 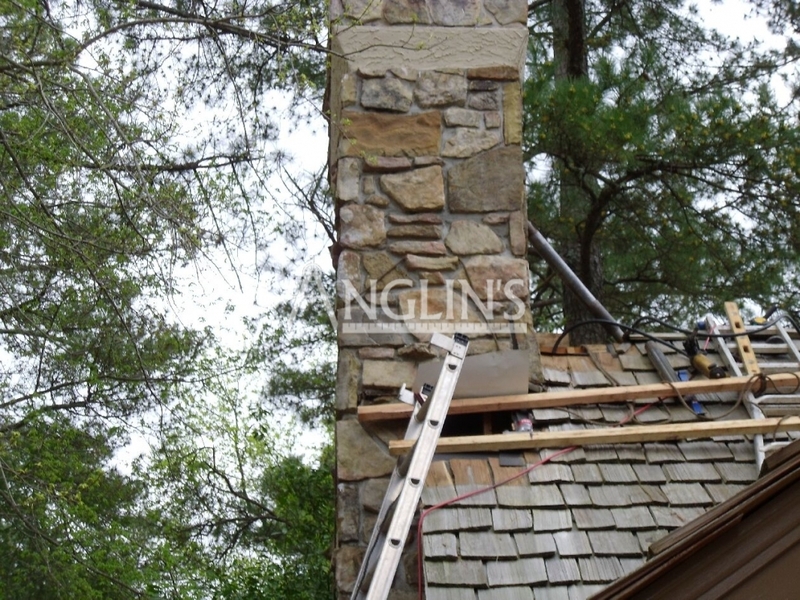 The chimney is added on later once the framing for the home is complete. 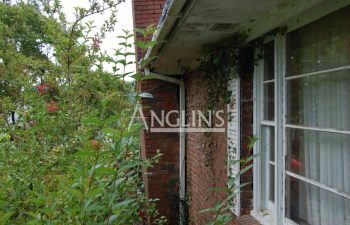 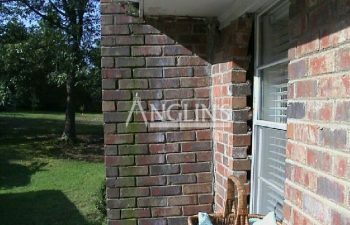 While this may be standard building practice, it can also lead to a myriad of issues later on with a home. 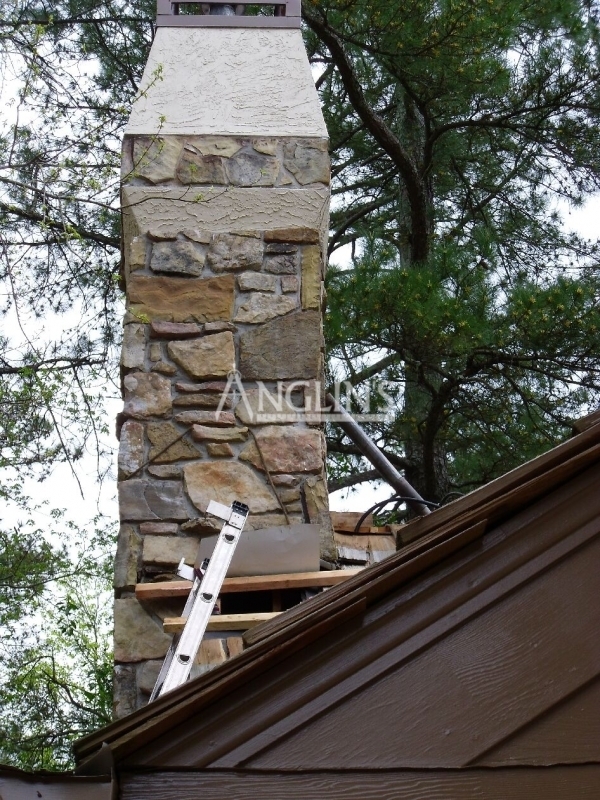 A full masonry chimney can weigh tens of thousands of pounds, and is considered a major component of a home’s structure. 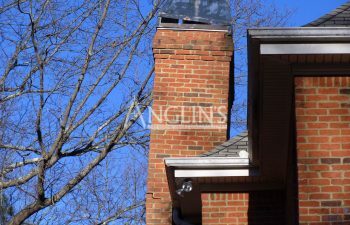 When a chimney begins to show signs of pulling away from the home or cracks in the structure, there are major concerns that need to be dealt with right away. 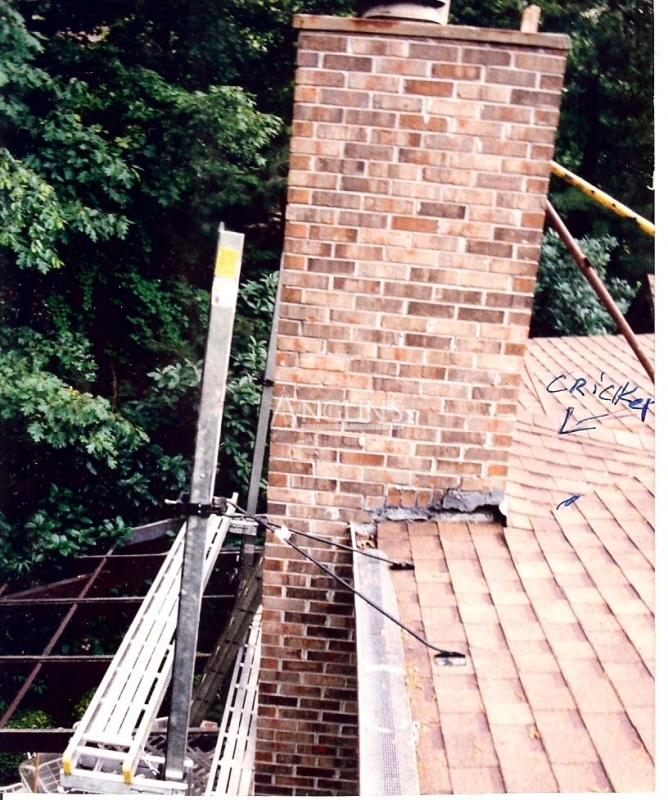 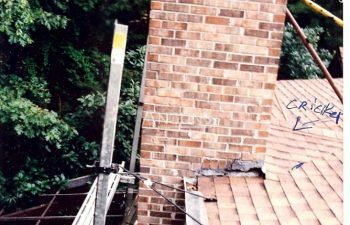 Structural issues with a chimney are often connected to other potentially serious foundational issues with a home. 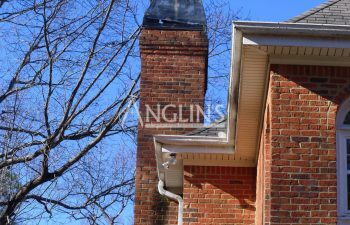 The issues that are causing your chimney to become compromised can equally be causing damage to the entire foundation of your home. 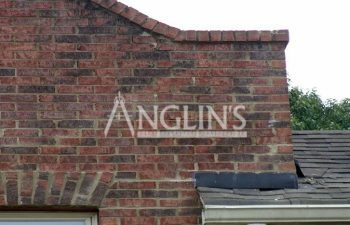 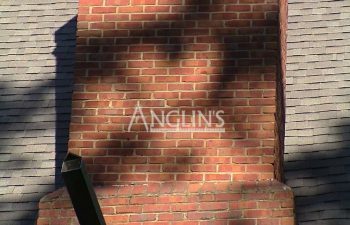 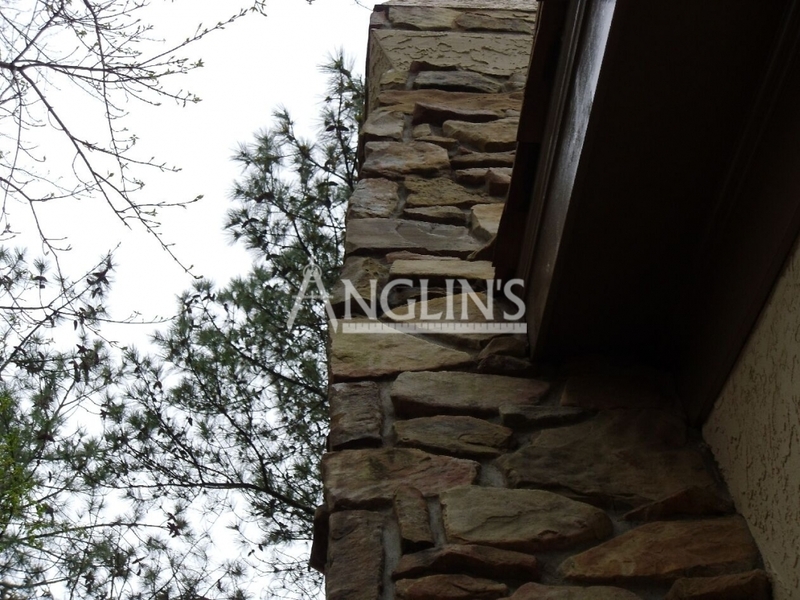 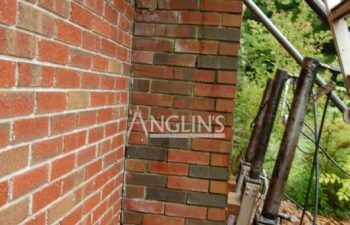 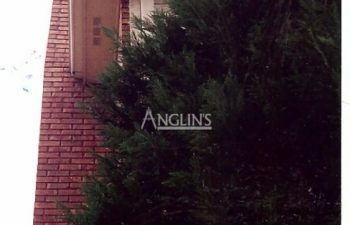 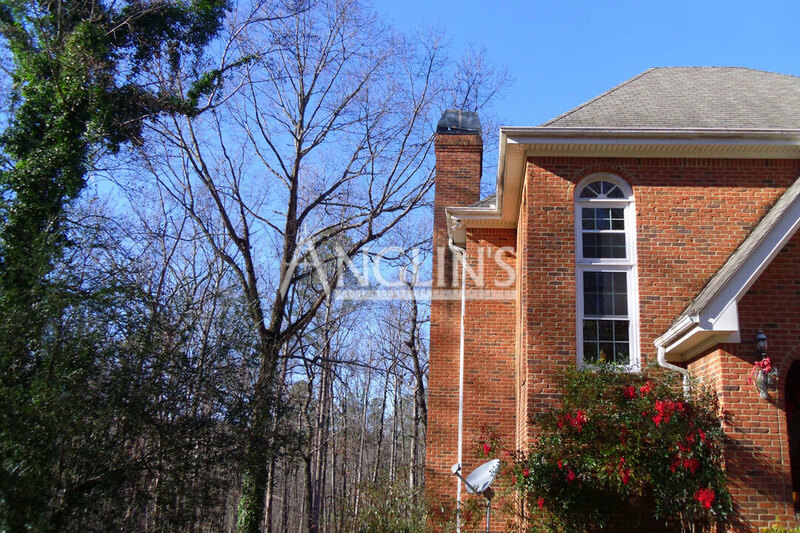 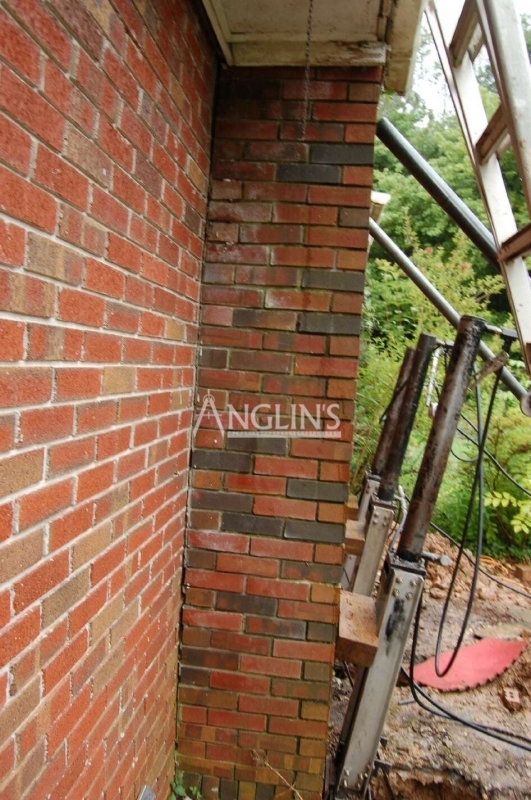 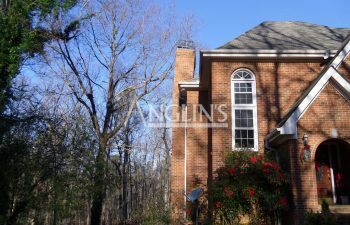 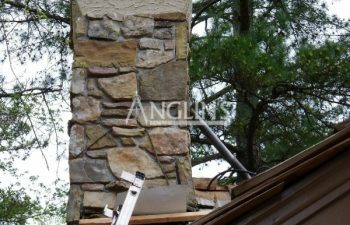 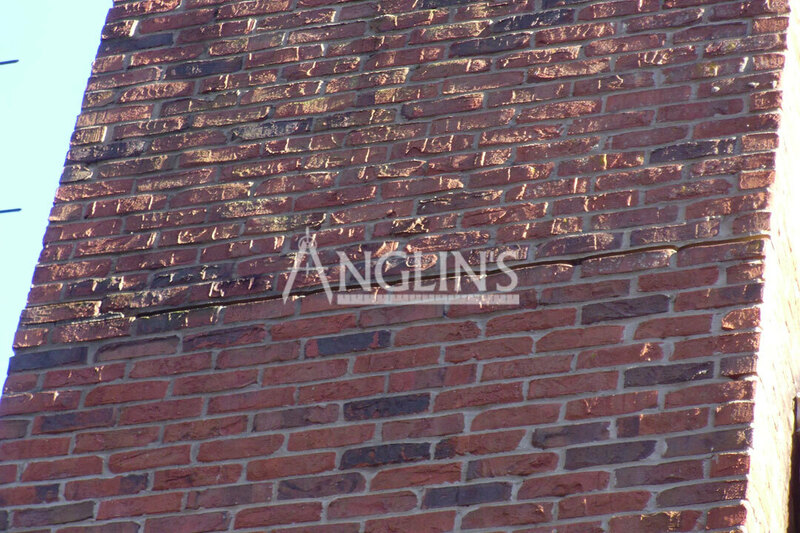 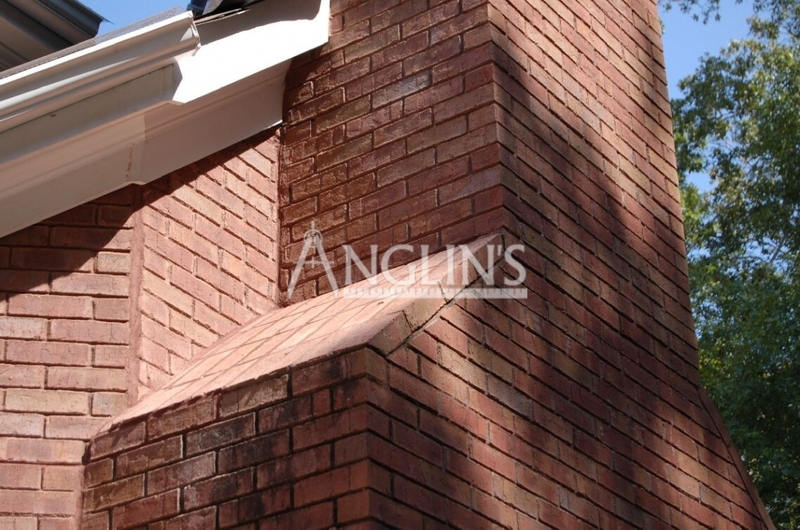 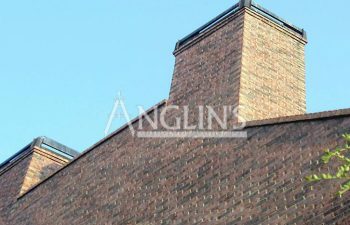 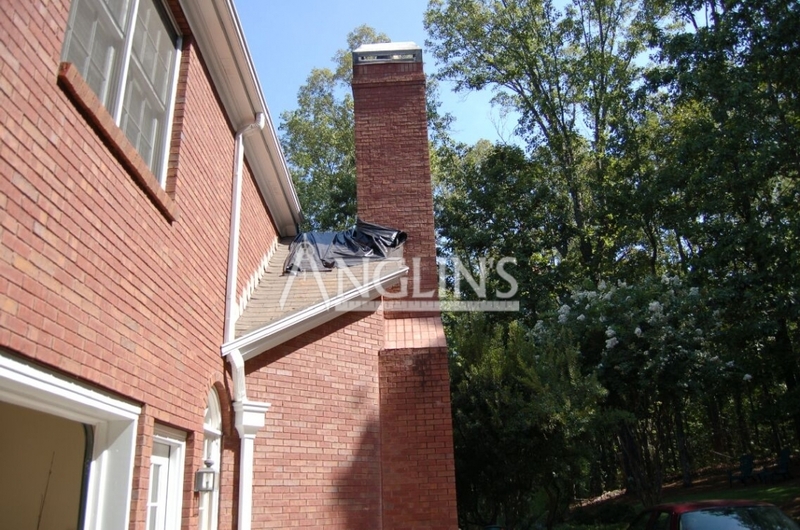 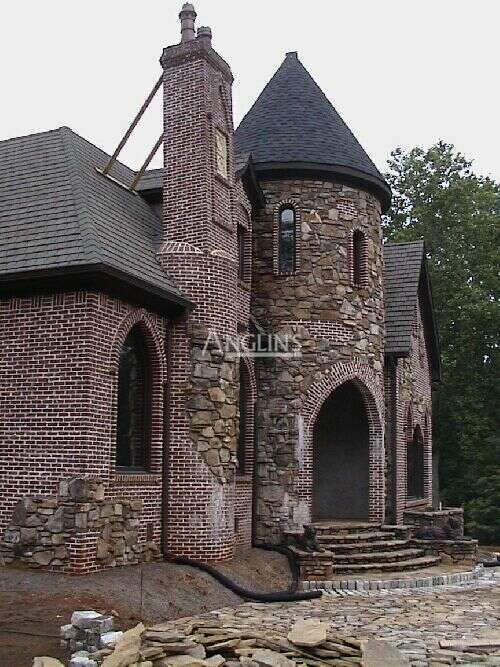 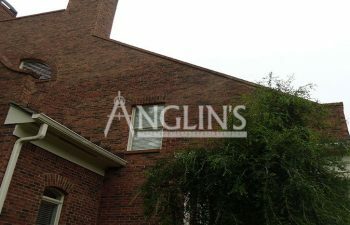 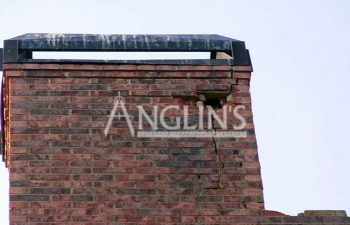 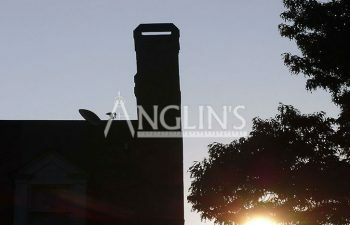 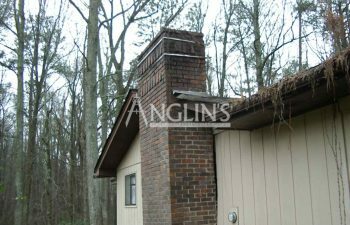 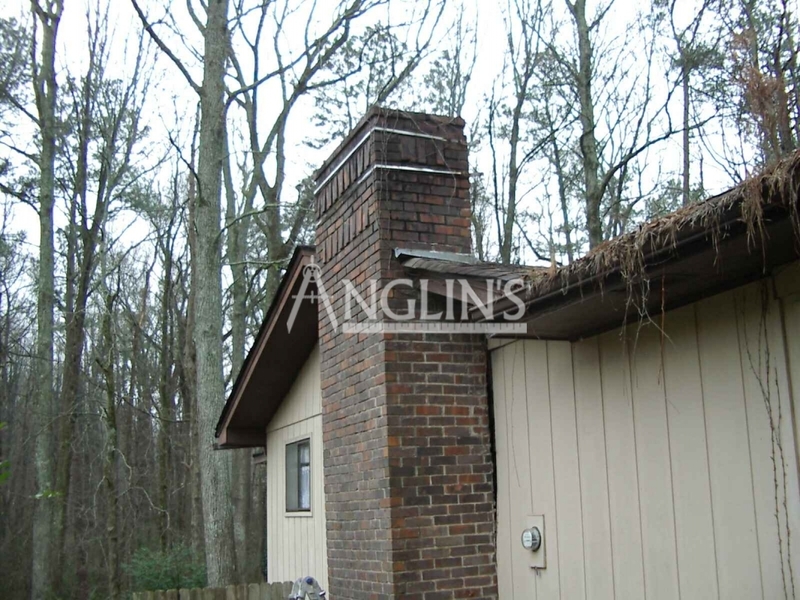 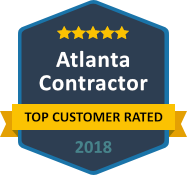 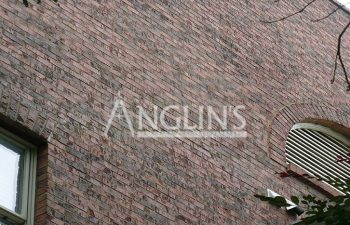 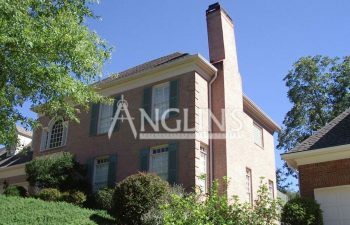 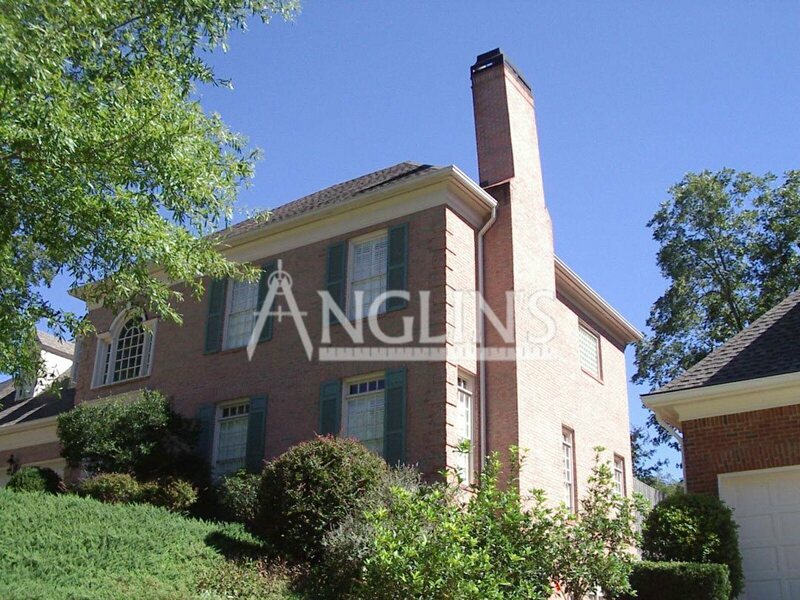 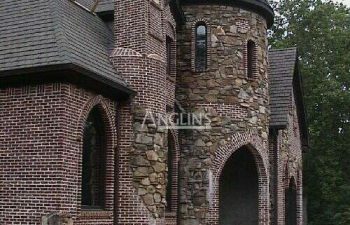 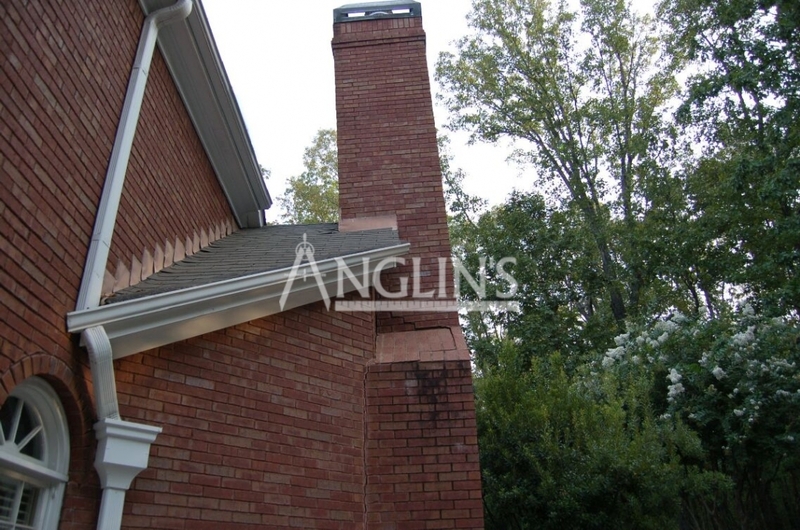 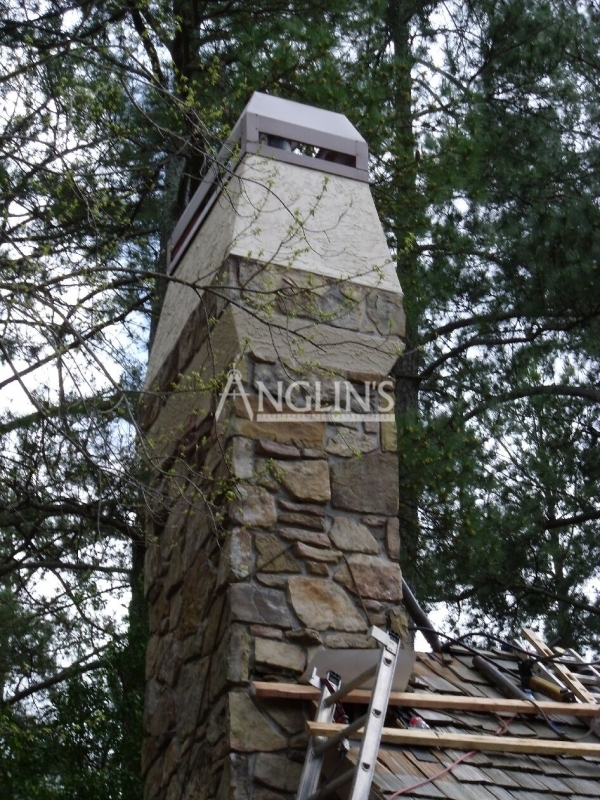 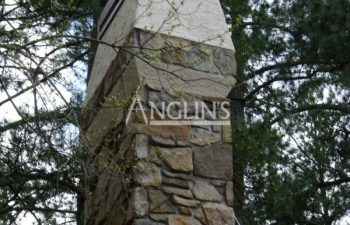 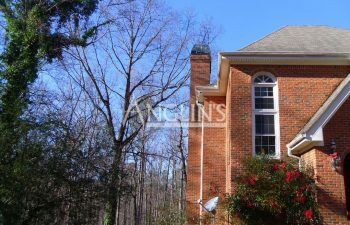 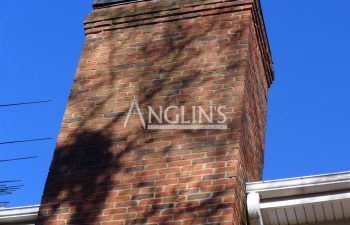 Anglin’s Foundation & Masonry Repairs has over 85 years of experience with correcting chimney foundation and structural issues. 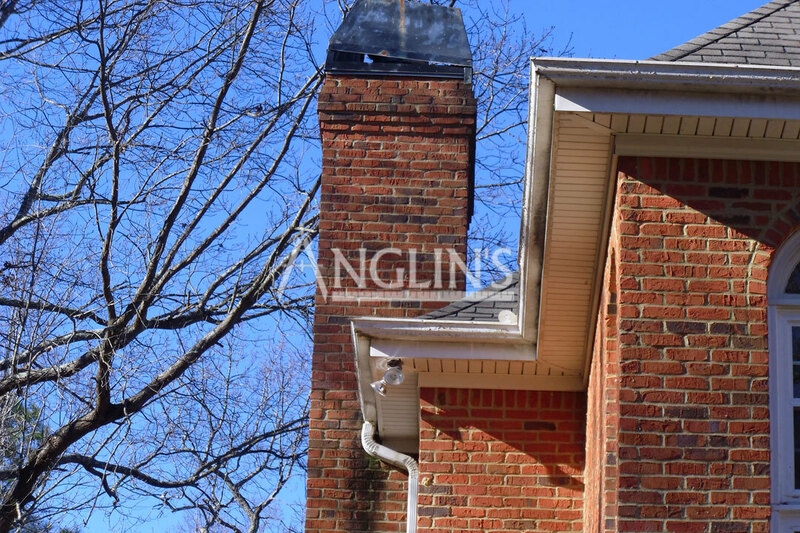 Our chimney repair and restoration experts can eliminate the threat of your chimney falling or damaging your home, neighboring property, or anyone in its path. 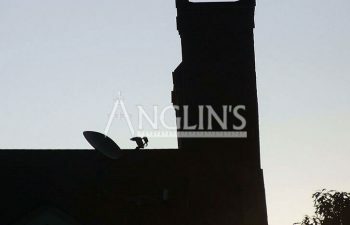 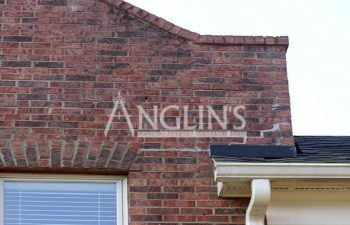 At Anglin’s we fix it for life, the first time. 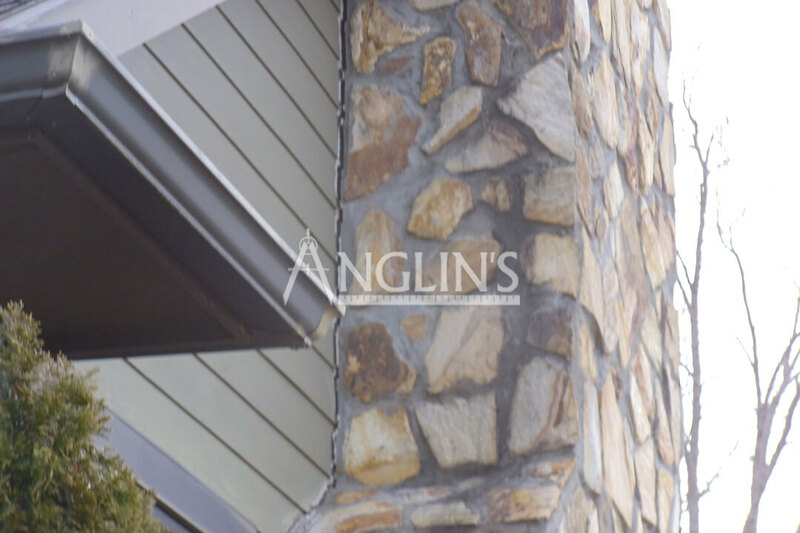 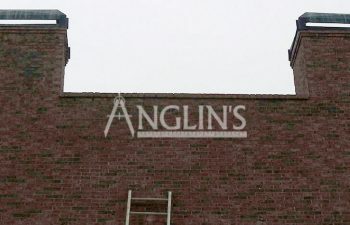 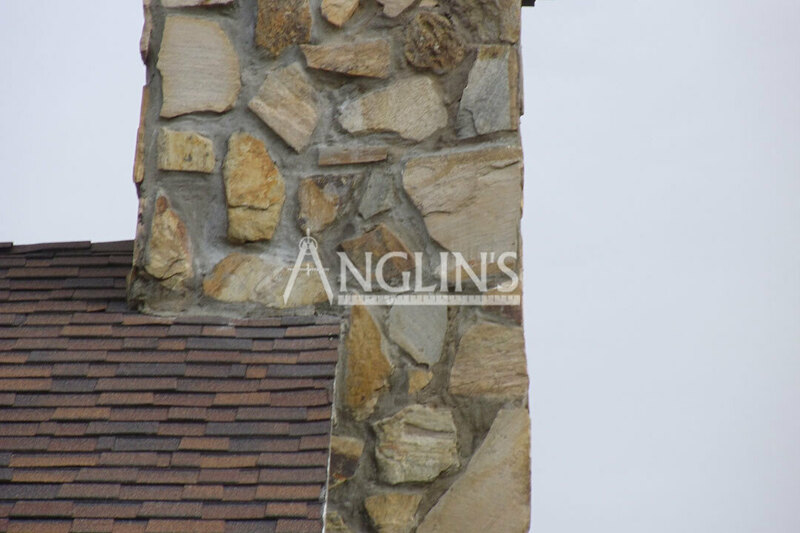 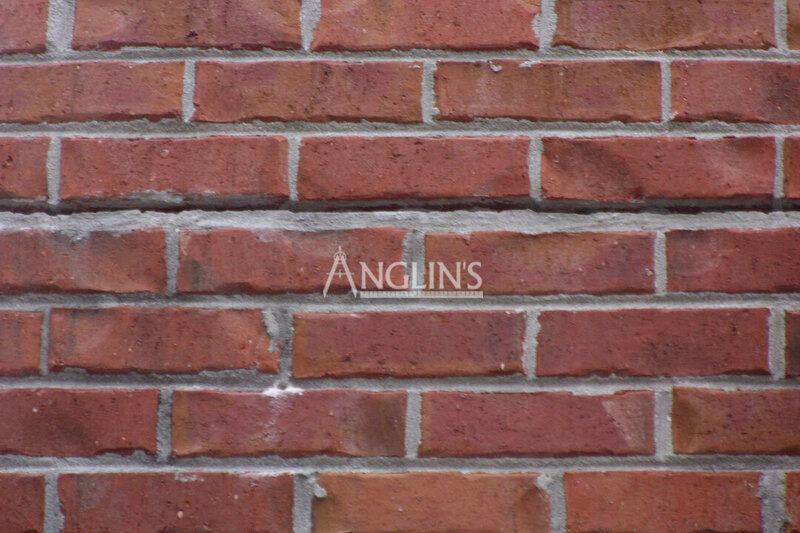 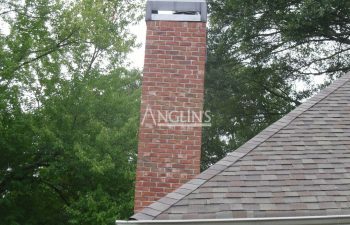 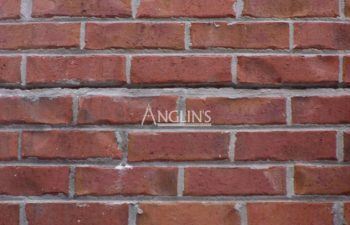 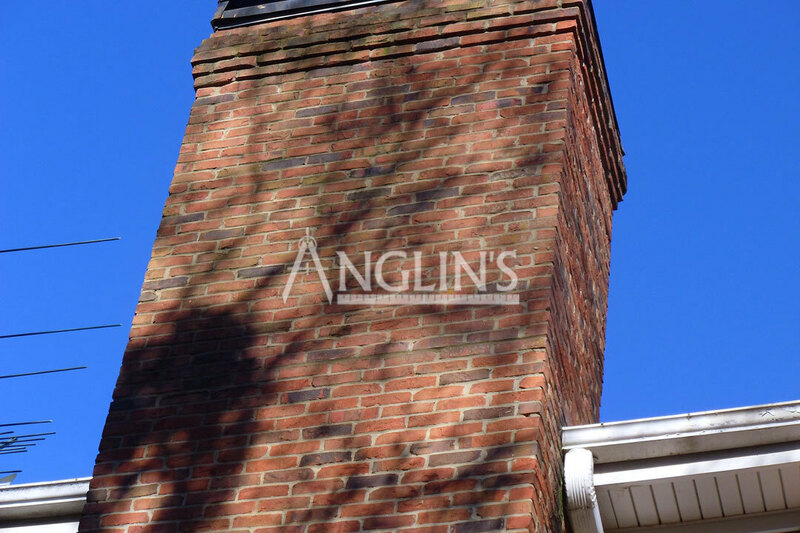 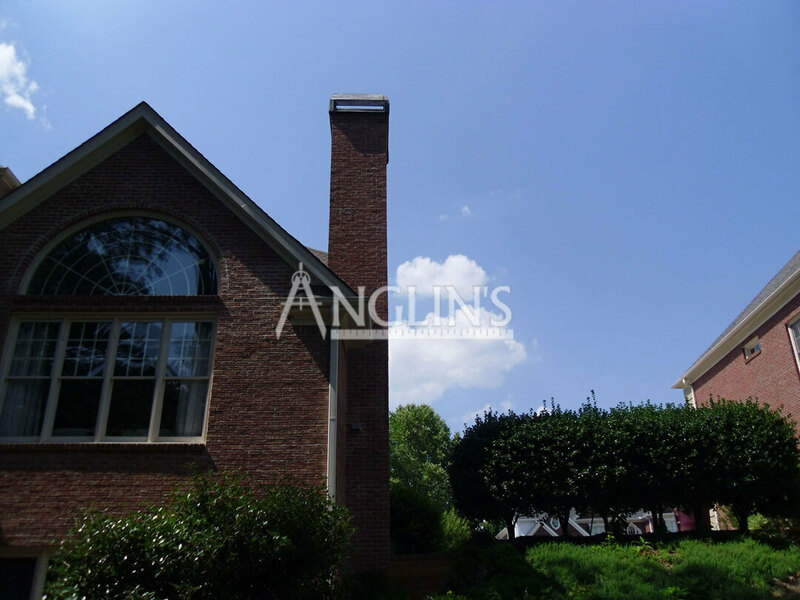 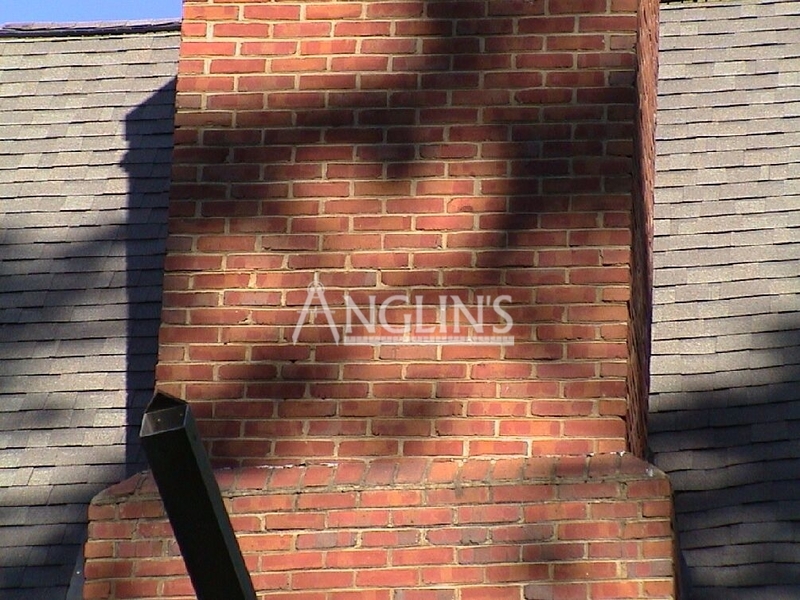 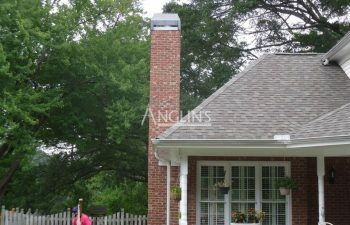 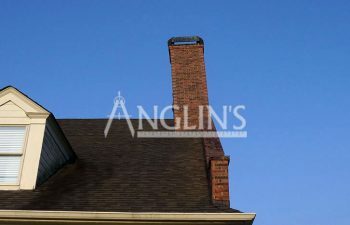 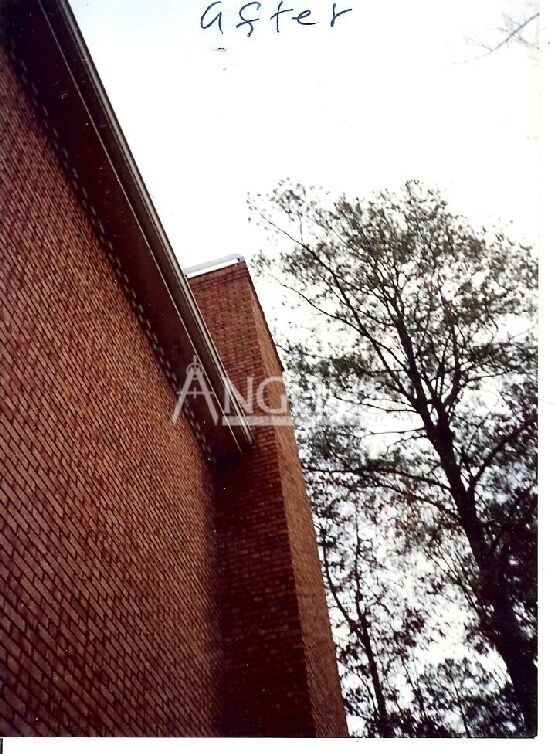 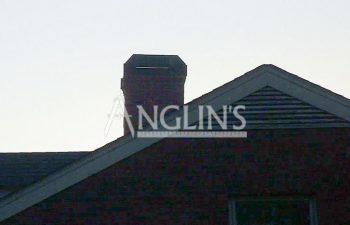 If you notice that your chimney has separated from your home, please do not simply fill in the void with foam or caulk – please call Anglin’s Foundation & Masonry Repairs. 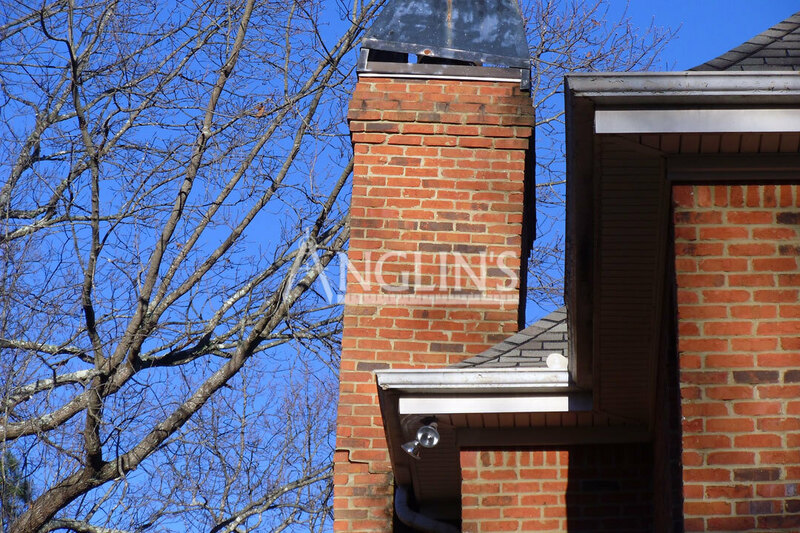 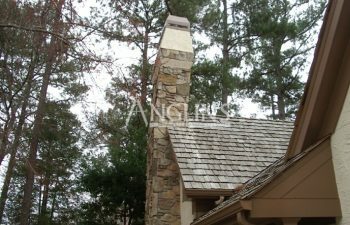 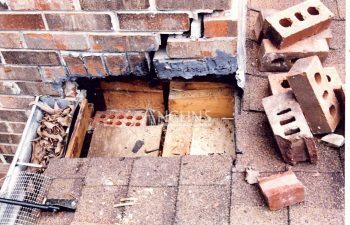 A chimney that is leaning to one side or that is cracked is a sign that there is a potentially serious foundational issue with your entire home. 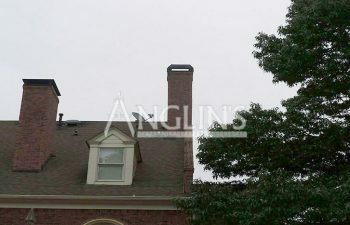 Sometimes chimneys will fail because they have a missing or inadequate chimney footing. 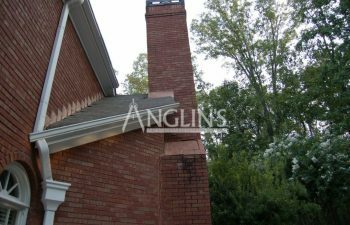 However, many times chimneys fail because the soils of the foundation are not sufficient to hold the weight of the structures. 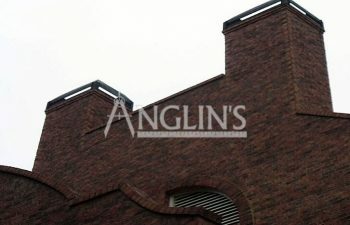 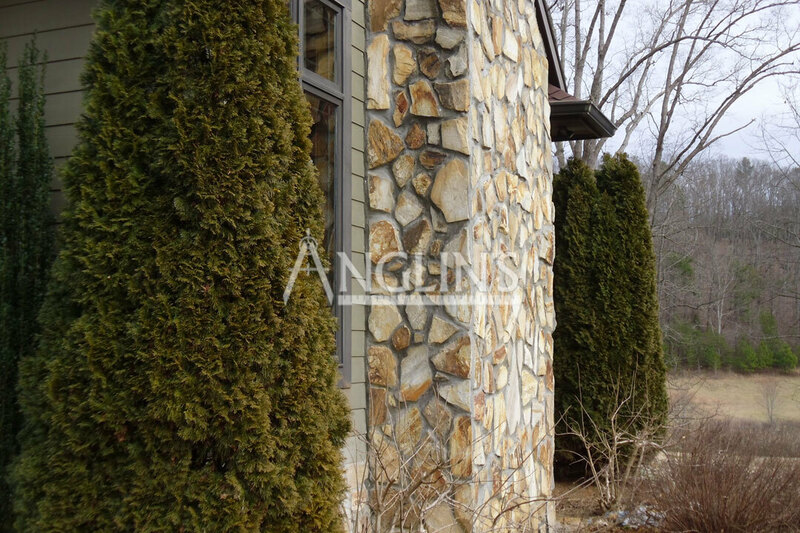 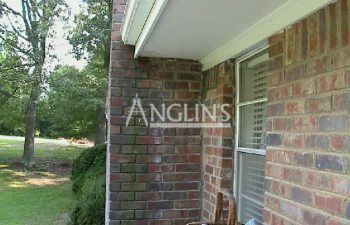 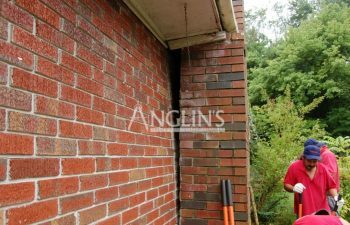 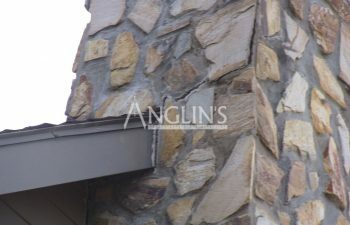 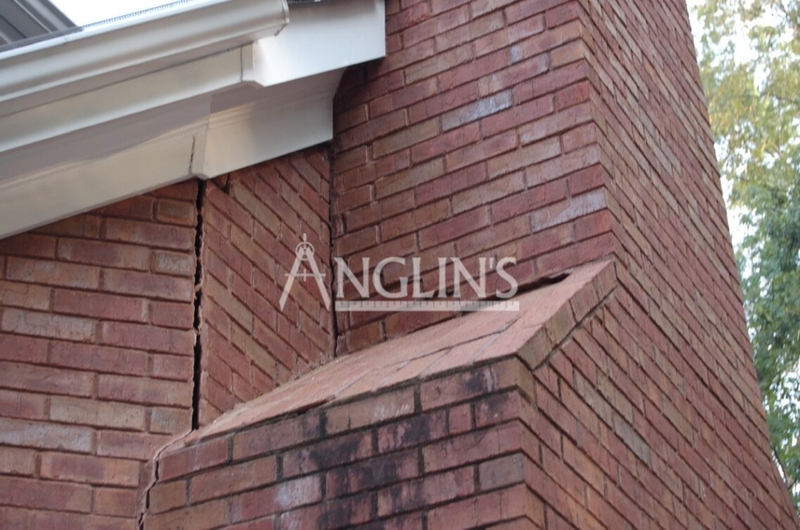 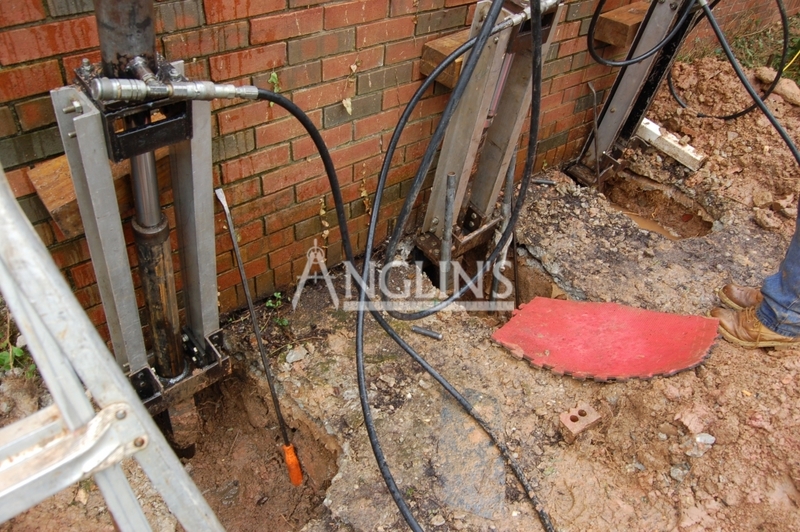 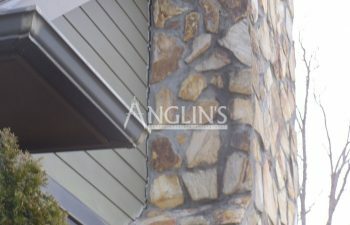 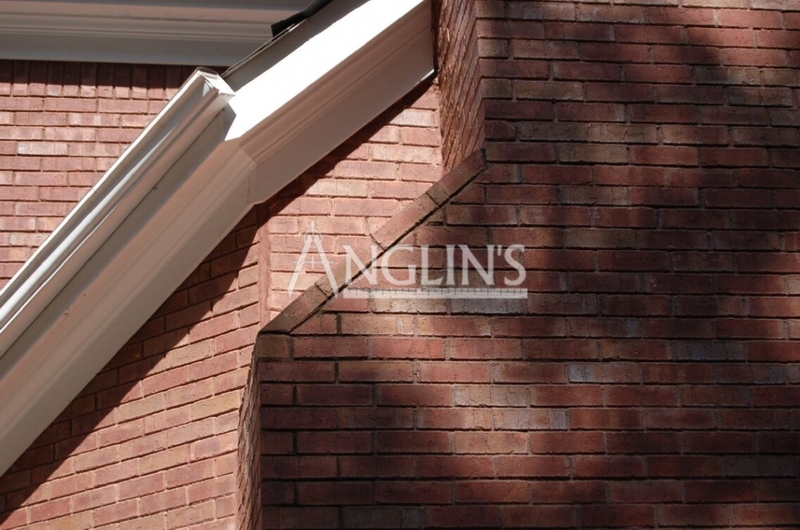 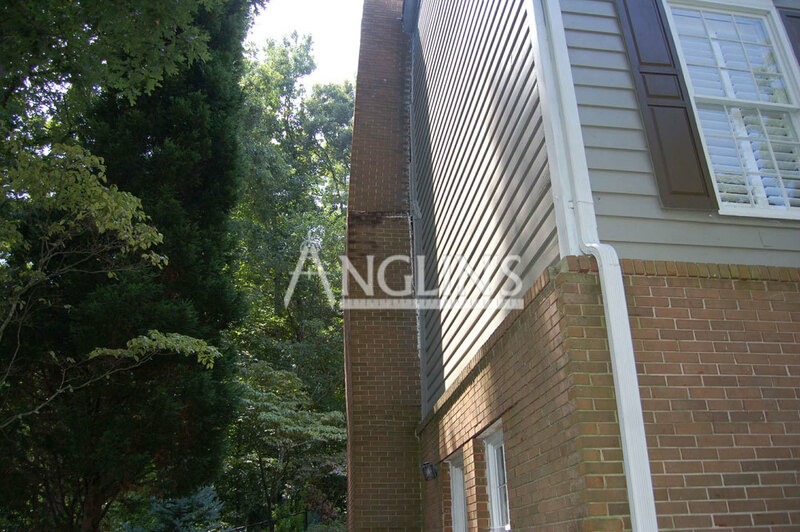 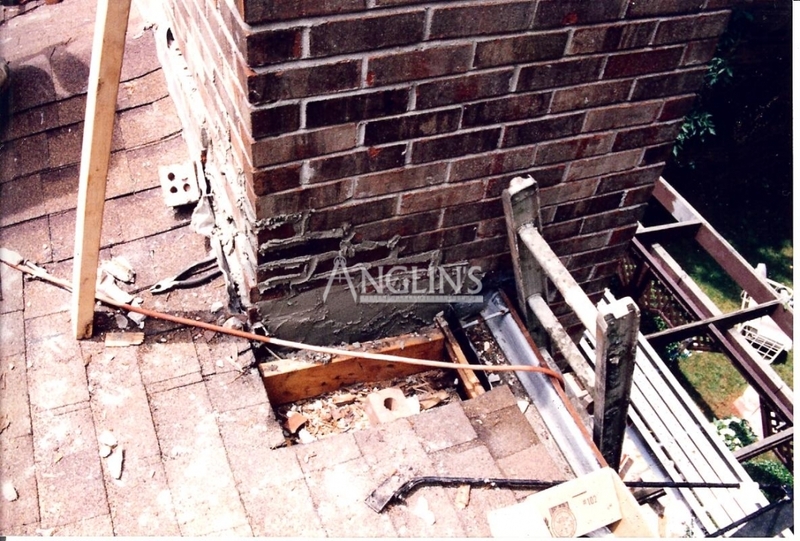 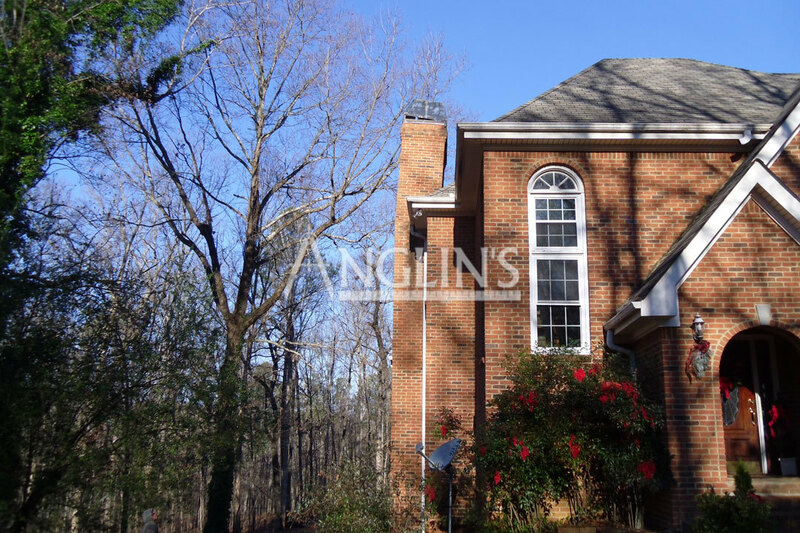 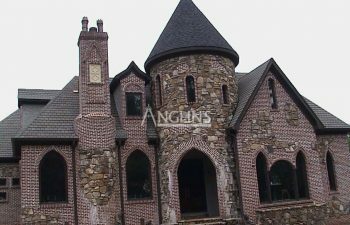 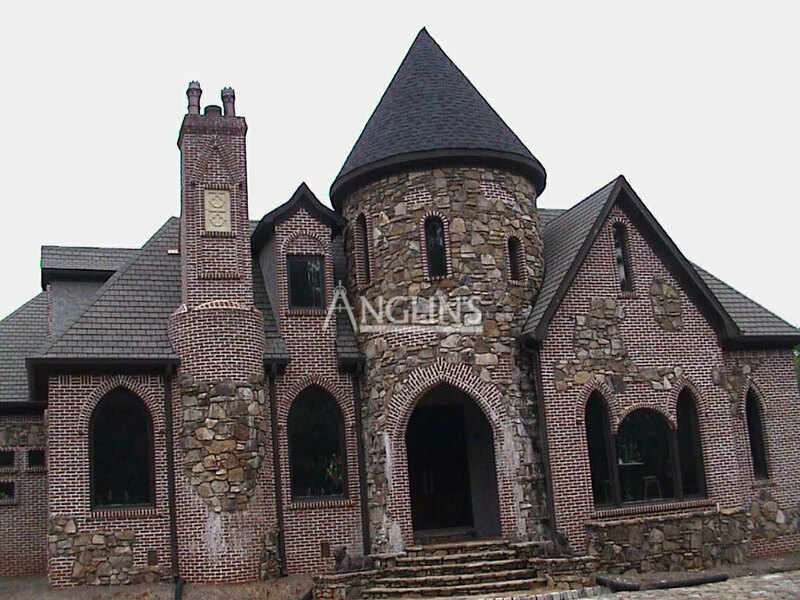 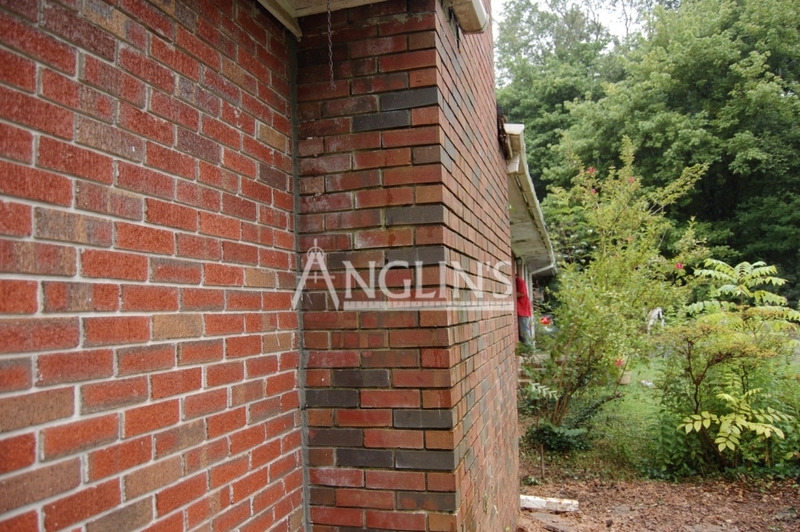 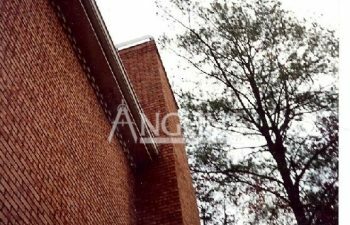 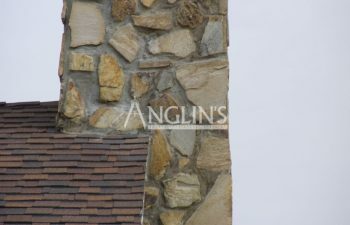 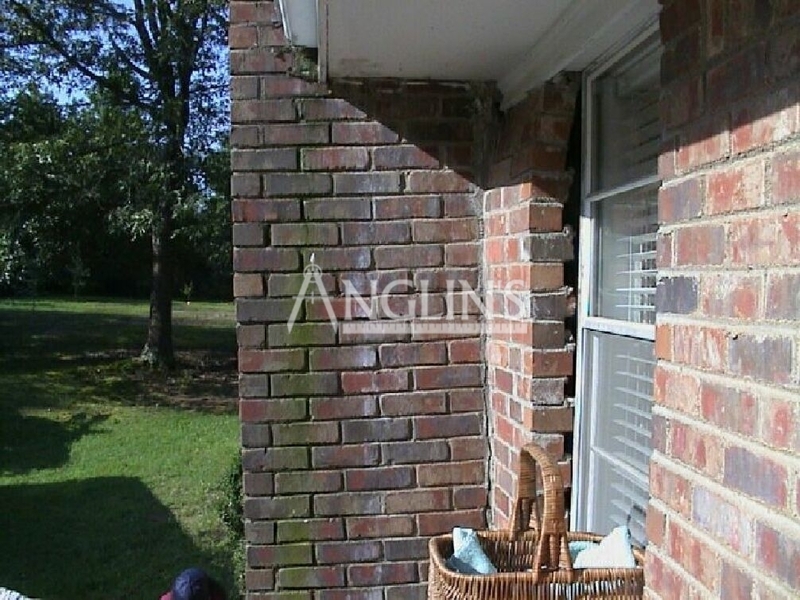 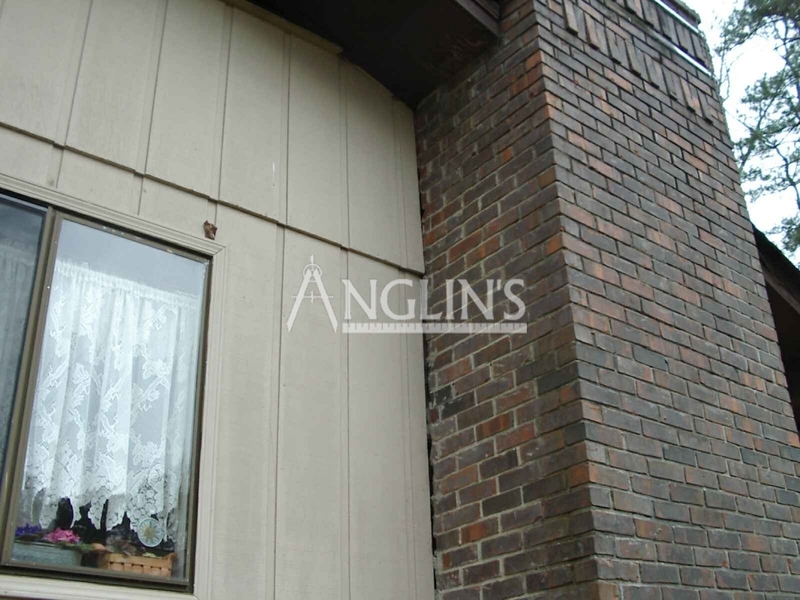 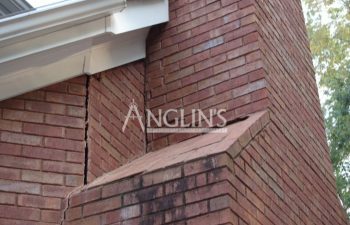 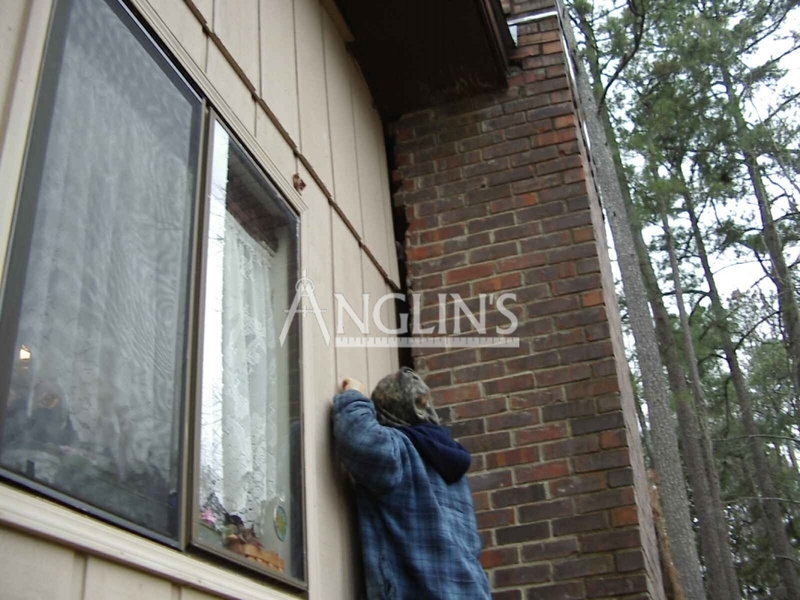 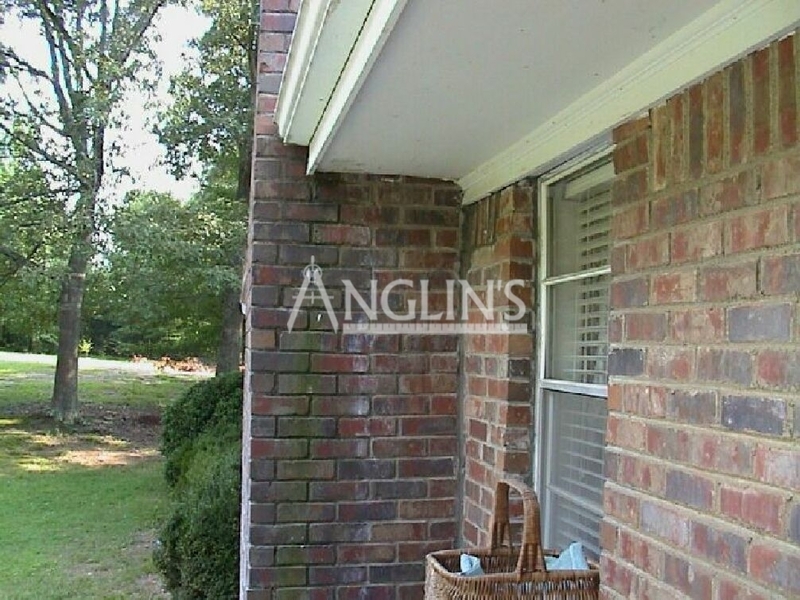 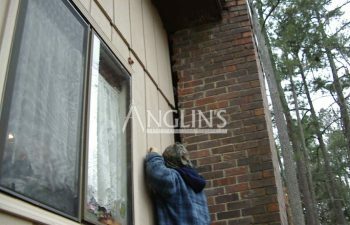 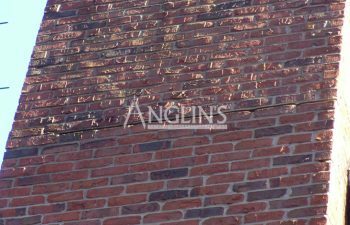 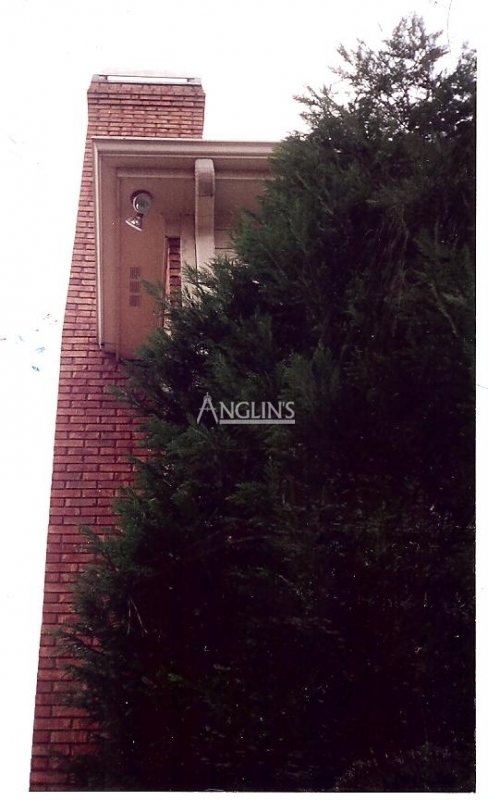 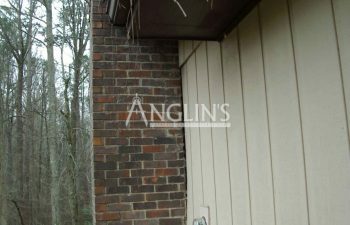 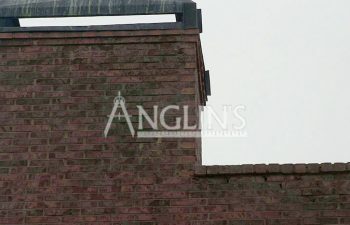 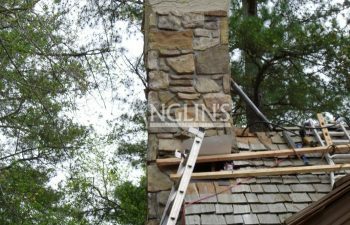 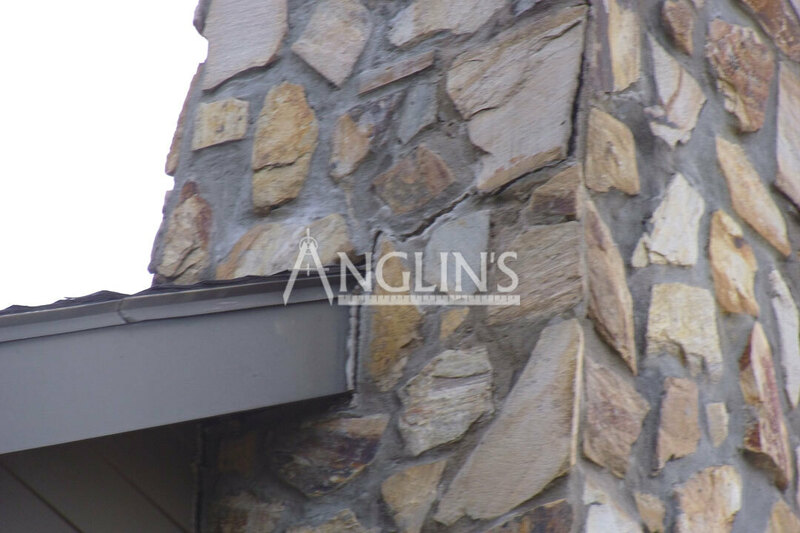 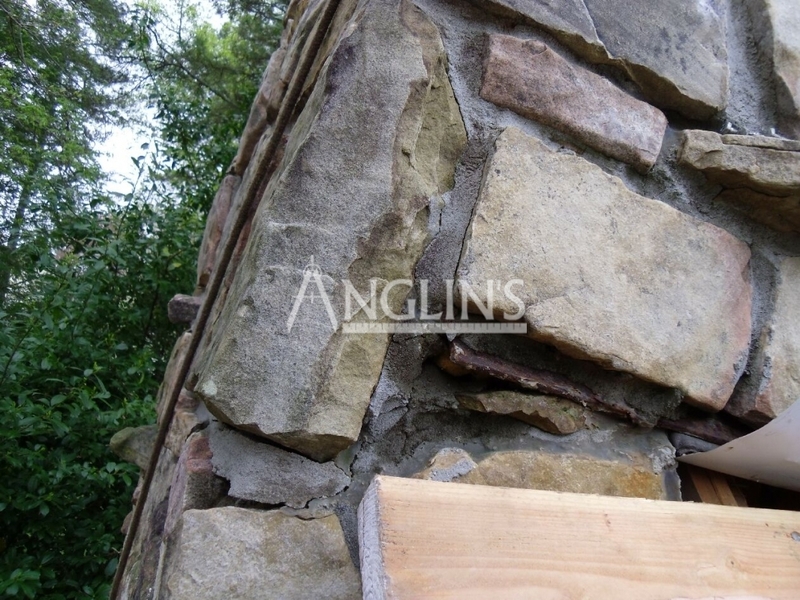 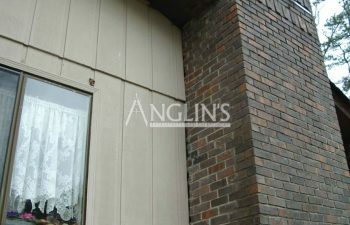 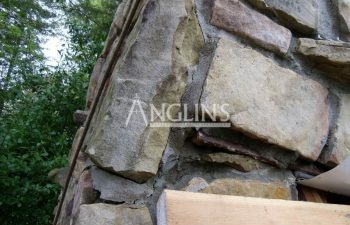 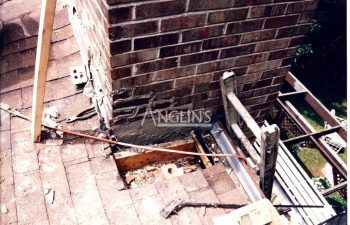 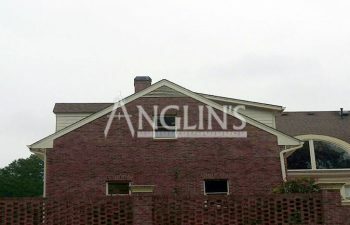 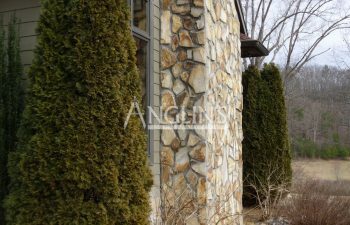 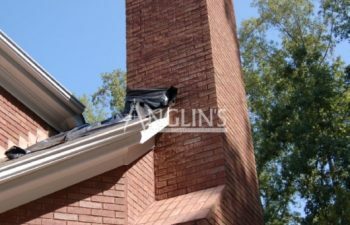 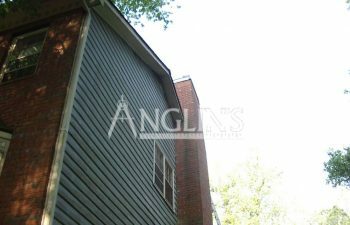 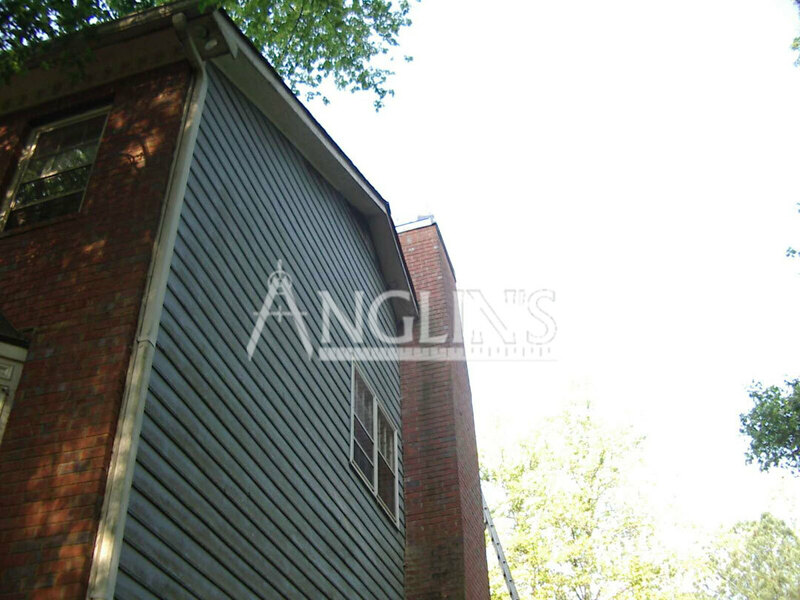 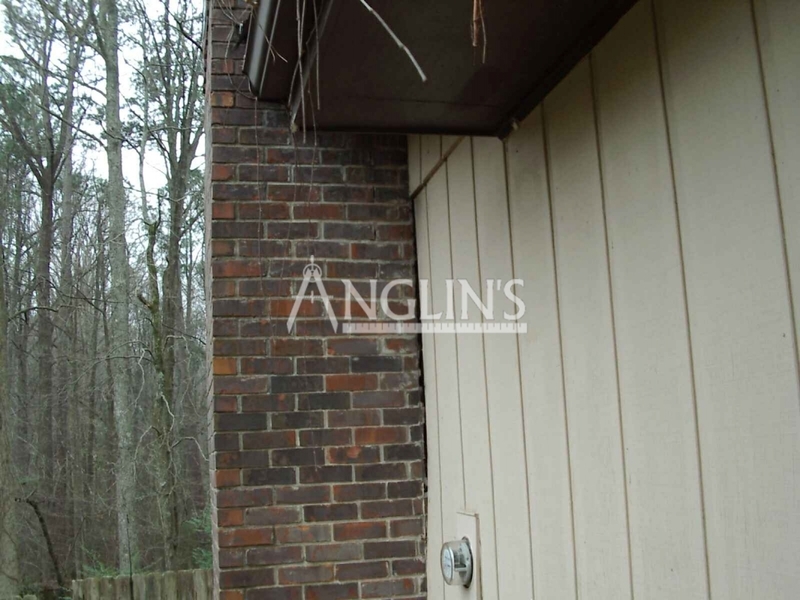 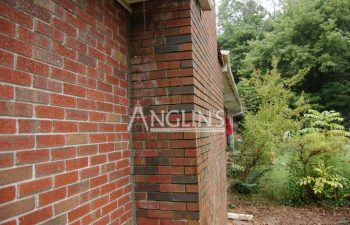 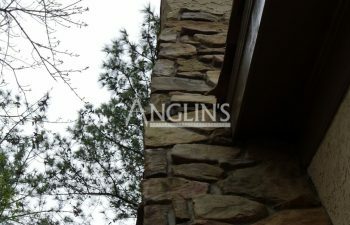 At Anglin’s Foundation & Masonry Repairs, we specialize in foundation repairs of all kinds, including those relating to cracked or leaning chimneys. 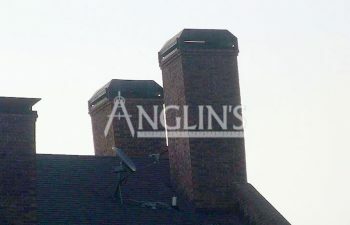 We bring over 85 years of experience with us, and we offer a permanent solution to your chimney repair. 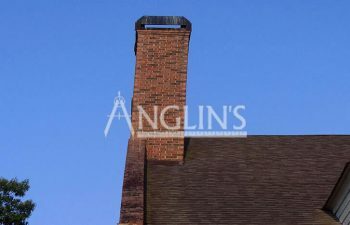 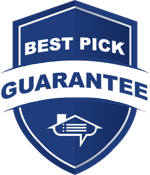 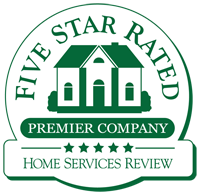 Contact us today for a free chimney inspection and free quote.